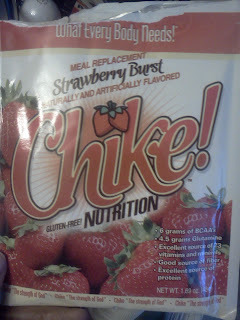 I have some Chike left in my pantry from my early preop days. I don't think I liked it at all but I'll give it another try. Don't fail me WW! That's all ya gotta do sometimes, go back to something to see if we feel differently about it. I like Chike too. Jackie and LIz sent me the Orange Creme and I can't wait to try it.